Type location South Africa (Ponera cavernosa n. 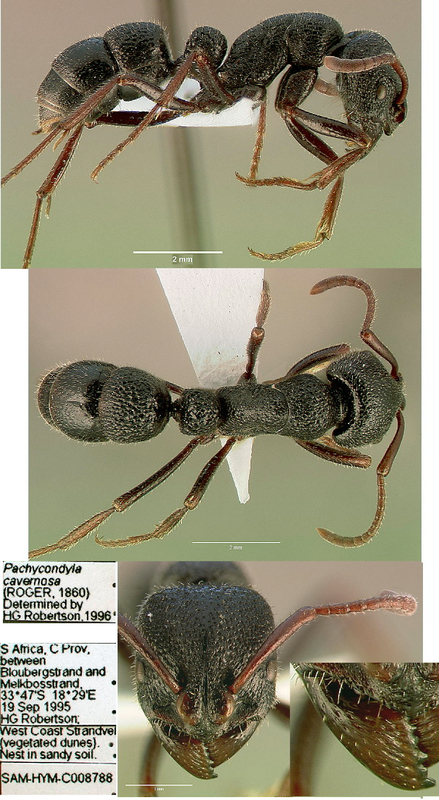 sp., Roger, 1860: 288, worker; in Bothroponera by Mayr, 1862: 717; in Pachycondyla (Bothroponera) by Emery, 1901a: 45) - no type images on Antweb (June 2014). subspecies montivaga (Bothroponera cavernosa Rog. var. montivaga n. var., Arnold, 1947: 132, worker) from South Africa - no type images on Antweb (June 2014). 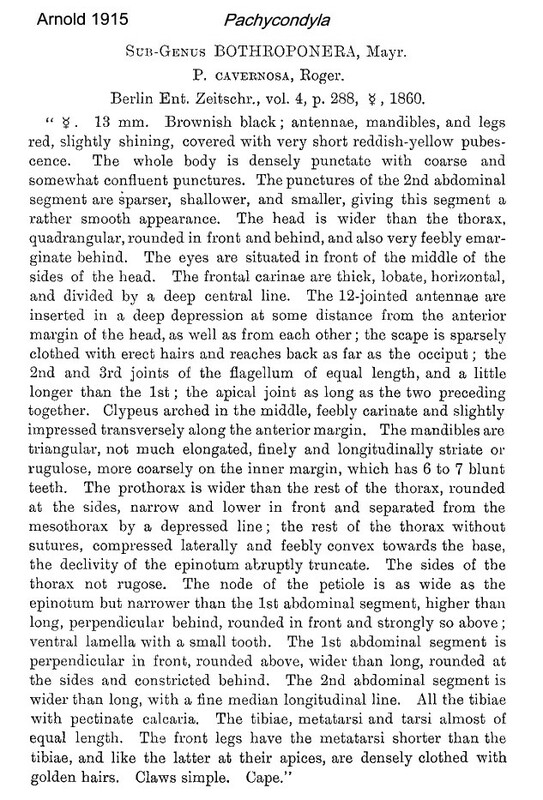 Roger's (1860) description is at . 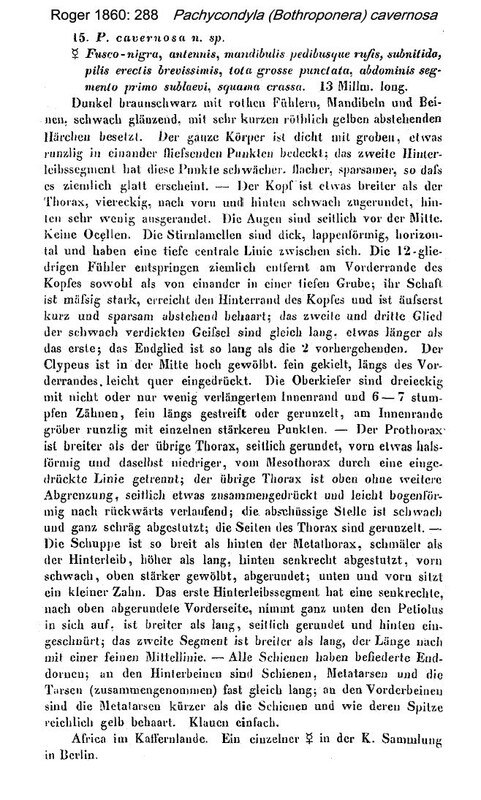 Arnold (1915: 60) gave a translation, this is at . 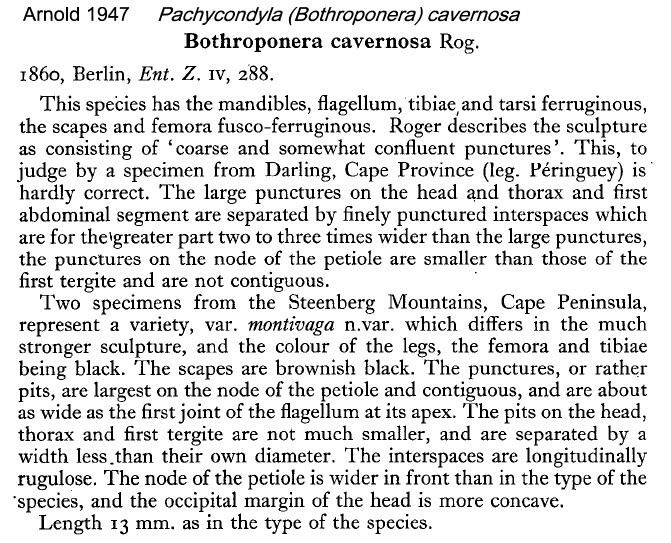 Arnold's (1947) description of montivaga is at .